Selection & Storing – Keeping it fresh! Outlined below is a description of the work, the conditions we work in and the qualities we are looking for in prospective employees. The positions which you will be undertaking are physically demanding and will involve long hours working in an outdoor environment. In the outdoor environment you will be exposed to; Extreme weather conditions (sun, heat, rain, wind, cold and humidity), animals (insects, bees, frogs, spiders, snakes), pollens, dusts and molds. Commit to working the season until the end – this year will be late October. Able to work well in a team, as not only will you be working together, but most of you will be living alongside each other for the season. Be available all working hours which include weekends. No experience is needed, all training is provided. Pickers are required from May to October. Picking is challenging physical work requiring a good level of physical fitness. It also requires care and eye for detail. Please note that the Inherent requirements of this position will involve continuous twisting, turning, bending and heavy repetitive lifting. As a picker you will move about the rows in your trolley (or with your handles), checking plants for ready to pick fruit, only picking the appropriate ripened- fruit as you go. Care in handling is needed as fruit is delicate, we use a stem picking technique as it needs only minimal handling of the fruit to prevent bruising and damage. You will be responsible for filling your trays carefully and in a single layer, removing any rotten/diseased fruit from plants, carrying your filled trays to be weighed as well as refilling your trolley with empty trays. A box person will be on hand to assist as needed, with weighing and helping you with the trays. Plant Maintenance – as part of your job as a picker, plants need to be kept clean for hygiene and ease of picking. De-runnering and leafing of plants will be carried out at scheduled times. Some seasons, we also plant a zucchini crop – which you may also have the opportunity to be picking zucchini. A good level of physical fitness is required as it is a very physical and demanding job. The inherent requirements of the job for picking zucchini involves twisting, turning, bending and heavy lifting/dragging/pushing of medium weights and heights. Picking of zucchini is done by hand, you will move between the beds and select the zucchini that is the correct length/size and use a knife to cut from stem, then placing into a bucket as you move along the rows. We are a farm-stay farm with accommodation on the property for our workers. Shared showers, toilets, washing facilities and fully equipped kitchens. From Brisbane Airport or Brisbane City train is the easiest option. Destination is Caboolture Train Station, from there we will organise pick up to our farm (travel to our farm from train station – no charge). Payment is paid by the weight of the berries picked. Pay rates do fluctuate depending on the conditions of the crop being harvested. Your earnings will reflect on how motivated you are. A minimum base piece rate applies – actual rates paid will not go lower than this rate. Pay rates are based on Average Competent worker – What you earn will depend on you and your motivation. All employees on contract rates will be presented with a Piecework Agreement. This agreement stipulates contract prices for the season. A copy of agreement will be supplied to you for your records. Pays are paid weekly, directly to your bank account. Pay week is Saturday to Friday. Will be paid quarterly to your chosen or allocated employer fund. A standard choice superannuation form is available for those who currently have funds alternatively our Employee fund is Austsafe Super . You will need to be able to work in all weather conditions and available all working hours (which include weekends). During peak season you will be working 7 days a week. Requests for time off will need to be applied for in advance. 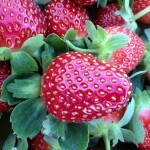 Strawberries are very delicate and can ripen very quickly, especially when sunny, berries that aren’t ripe in the morning can be ready to pick by the afternoon, and are sensitive to weather conditions (wet/heat). When they are ready to be picked, they have to be picked. If wet weather or heat waves are predicted be prepared for work – as the fruit will sustain damage, we try to minimize this by ensuring we get all ready fruit picked. We have a relatively short harvesting season, which means that we need dedicated people who are willing to commit to being available as needed, and till the end of the season. I’m Interested. What do I need to do now?